no boxes to squeeze into. Every mountain, every climb, every descent is a custom adventure designed for you. Who are you? The long-winded answer is over here: LINK. The short-winded answer: I'm an AMGA Certfied, IFMGA Licensed, and independent Mountain Guide based in Seattle, Washington. 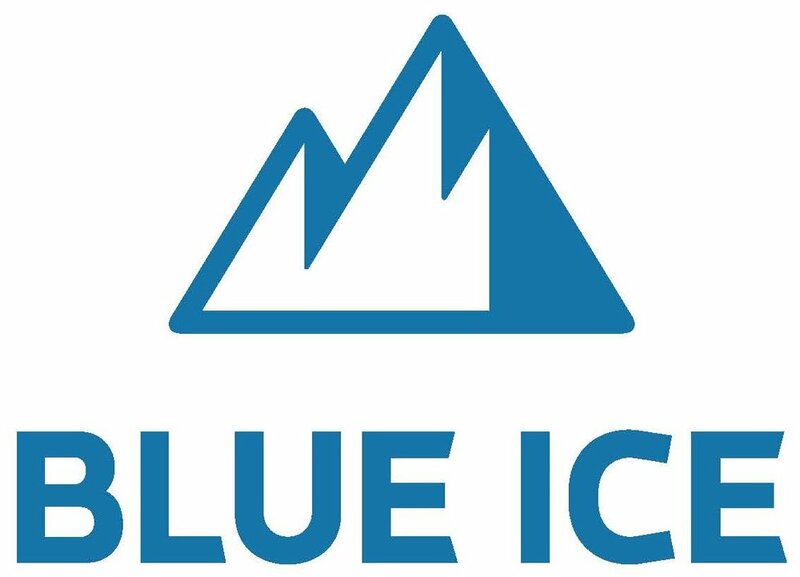 I'm also a member of the AMGA National Instructor Team, and a brand Ambassador for Outdoor Research, Backcountry Access, and Blue Ice. Independent? What do you mean? I don't work specifically for any one guide service. Instead, I market myself, schedule myself, and take most payments through Simmons Mountain Works, my LLC. What sets you apart from the others? My trips are completely custom and directly serviced. You won't be talking to someone in an office - you'll be speaking directly to me. You won't be assigned a guide on staff - you'll be climbing or skiing with me. You won't be teamed up with strangers - I only work with individuals or groups of friends who contact me already a team. I charge a premium price for premium service, helping you from start to finish with equipment, travel, and any other arrangements you might need to make. What about insurance, and permitting? My insurance and permitting is primarily through the Certified Guides Cooperative, a non-profit organization established precisely for guides such as myself. In locations that the CGC does not have permits for, it's necessary to operate as a "guest guide", a one-trip employee of a guide service that does. How do I reach you? Email works best, so just send me a message through here: LINK. Where do I meet you? Most often I'll meet you at the trail-head, but that's completely dependent on both of our schedules before and after the trip. If you want to carpool or would like me to provide transportation, please make sure to mention it to me as soon as possible. What are my travel options? The Seattle-Tacoma International Airport (Sea-Tac, or SEA) makes the most sense for almost every trip I offer. For Mt Adams and Oregon, Portland is a better choice. For my more unique trips, I'll work with you individually. What about gear and group equipment? There is a gear list attached to every trip listing here, or I'll send you a link to one after we talk about the adventure you're thinking of. I've also done my best to list any equipment included or excluded. A basic rule of thumb: if we share it, its included, and if we don't, it's your responsibility. For example, we share the rope and climbing protection while climbing, so that's included. But a helmet, harness, and a few carabiners for personal use are your responsibility to bring. Where can I buy or rent gear? Within city limits alone I can think of three climbing shops and three more ski shops that I would recommend. And of course we have the flagship REI store. If you'd like my assistance, just let me know. Is travel insurance really necessary? That depends on how lucky you feel. If you get injured, sick, or something turns your life upside-down and you need to cancel - depending on the particulars of the trip and how soon before hand this is decided you will get a partial refund or even no refund at all. Trip insurance simply covers that - and can even include any other non-refundable expenses (like your plane ticket). Is rescue insurance really necessary? Absolutely. Rescue services in the United States don't charge a fee, but medical helicopters do, and often that service isn't included in medical insurance coverage. Most ski areas in the US now charge to assist in the rescue of "side-country" skier terrain that is outside the ski area management boundaries. Outside of the US, most mountain countries charge for rescue services. That's a key reason for Alpine Clubs' existence around the world - rescue insurance is a benefit of membership. The American Alpine Club's rescue insurance is usually all anyone ever needs, and membership includes discounts on equipment and lodging opportunities: LINK. Is hiring a guide really necessary? I think it really depends on how valuable your time is to you. A good mountain guide will talk to you about your experience, goals, and available time; then look at the mountain and weather conditions; and recommend what they believe to be the best adventure for you in that moment. Hiring a mountain guide eliminates a lot of the inefficiencies that can plague non-guided teams, increasing the chances of successful outcomes, minimizing risks, and giving you a professional's confidence that whatever it is you're doing - its the best thing to be doing right now. What is this AMGA/IFMGA certification that I see you mention? The International Federation of Mountain Guide Associations - acronym'ed IFMGA, UIAGM, or IVBV - was established in 1965. One of its key purposes is to maintain a uniform standard of mountain guide certification amongst its members - those 26 members being national guiding associations such as the American Mountain Guide Association (the AMGA). The AMGA was originally founded in 1979, and joined the IFMGA in 1997. Its primary mission is to train and examine guides to at least meet the minimum standard set by the IFMGA. In the AMGA, guiding is divided into three "disciplines": rock climbing, skiing, and alpine climbing. It currently takes a candidate a minimum of two years to obtain a single certification, and become an AMGA Certified Rock Guide, AMGA Certified Ski Guide, or an AMGA Certified Alpine Guide. Once all three examinations have been passed, a candidate becomes qualified for the IFMGA Mountain Guide license. In theory, a candidate could work, study, and train in all three disciplines at once and complete the IFMGA process in 4.5 years. In reality, it takes 7 years average in America. The IFMGA Mountain Guide license is the highest qualification for a mountain guide. As of 1 December 2017 there were 122 IFMGA-AMGA Mountain guides. I happen to be #75. Is that all you need to work as a guide? No. Guides are also required to be certified at minimum with Wilderness First Responder, CPR, and Avalanche Professional 1 or 2 depending on their guiding level. I'm also a Leave No Trace Certified Master Trainer and an AIARE Recreational 2 Course Leader. Guides also need to either have their own commercial permits and insurance, or work for an organization that has those. Insurance is usually tied to the permit, so guiding without a permit = guiding without insurance, aka "pirate guiding." Is certification required in work? Unfortunately, not in almost all of the United States. Commercial operations on public lands is managed at the local unit level in the National Forest, National Parks, or Bureau of Land Management. Certification is becoming preferred by land managers, but they have little incentive to require it. Conversely, IFMGA licensure is a requirement to work in much of the European Alps. The AMGA is working hard to promote the benefits of certification to the government, land managers, and industry insurers. In my perfect world, training and certification would be required and dependent on the terrain that guide was working in. That being said, I do believe that when technical skills, fitness, and experience are equal, a trained and certified guide is able to provide a experience with higher safety and value than non-trained or non-certified guide. But it takes more than an examination to be a good guide, right? Absolutely. I've heard it said once, "We (the AMGA) don't examine for personality." A good guide should be able to give their own personal flavor to the trip, with sense of style and a high level of safety. Its always my goal that you enjoy your time in the mountains with me. "Enjoy" is entirely up to you though - do you want the "fast, light, and big" alpine days; rock climbing with a hotel that night; wild ski traverses with everything in our packs; or hut-to-hut ski tours? All are awesome experiences - the better you describe to me what you want, the better I work to meet your expectations. In the end, I hope you'll learn something from the experience that you can take home and apply in your day-to-day life. What about eliminating risk? A corner stone of my profession is mitigating risk. I do this by applying techniques and tools taught to me by mentors and AMGA courses, with many, many years of guiding experience. Risk is inherent and can't be completely eliminated, but by being efficient, moving well, and making good decisions we will minimize the risks we're exposed to. You will likely have opportunities to discuss this with me as I make these decisions in the field. I'm happy to share my experience with you and hope you may learn something of the mountains while you're with me. Any advice? Its great to have a goal for the trip - a summit or a ski descent - but stay flexible! As your goals get bigger and more difficult, the requirements for good weather, good health, and good route conditions becomes less tolerant, and if the stars don't align, we're looking for alternatives. I always have a plan B or plan C ready. This is the best advantage of hiring me for a custom-built adventure - flexibility. And train! I prefer trail running, but anything that requires you to be active for at least 30 minutes, 3 times a week will help for the introductory and basic courses. As your skills progress and the the difficulty of the goals increase, your training will need to become more intense and targeted. In fact I have my own coach and training program. If you'd like to discuss this more contact me. Simmons Mountain Works LLC and Chris Simmons operates as an owner/member of the Certified Guides Cooperative, which has Priority and Temporary Use Permits in the Mt Baker-Snoqualmie National Forest; and as an employee guest guide for multiple guide services permitted appropriately. Join my mailing list and be amongst the first to learn about mountain adventures, equipment, and special opportunities.